Looking to develop a software product? Whether it be for web, desktop, or mobile, there are several things to keep in mind. Do you want to source a full team from a freelancer site like UpWork, or do you want to hire a Software Development Provider? The truth is, there are advantages and disadvantages to both decisions. The choice may seem daunting, but luckily, we have done the heavy lifting for you. Below are our reflections on both the pros and cons of both sides of the software development coin. UpWork: Given the low hourly rate of many programmers overseas, sourcing a team of freelance programmers via UpWork can be relatively inexpensive. However, this cost doesn’t take into account the management of the software development team. You will either need to manage the team yourself, or hire a Project Manager with the expertise to guide the team effectively. If you’re not careful, the small savings you gain can quickly be lost in the inefficiency of ineffective software project management. Software Development Provider: With firms, you typically have two options. Local firms who often come with big price tags, and virtual firms who can offer rates comparable to those of UpWork freelancers. With firms, you get a full team of developers who are managed by a trained software project manager. Additionally, you may be given some added benefits, for example: free assistance from operations, and access to software process management tools (UxPin, Teamwork, Beanstalk, JIRA etc.). UpWork: Sourcing a full team can take a bit of time; you will need to conduct interviews, sort through proposals, and occasionally deal with flaky freelancers. Additionally, if you are managing the team yourself, preparation, project management, and direction will add a significant amount of time to your schedule. Keep in mind–if your project management is ineffective, extra time can add up very quickly. Software Development Provider: Once you chose a Software Development Provider to work with, your involvement and time commitment will depend on their processes. You may need to attend status meetings, or communicate frequently with your Project Manager, or you may have minimal involvement. However, you will save a significant amount of time sourcing consultants and managing the development process. Since firms usually have tried and true processes in place, wasted time shouldn’t occur frequently. UpWork: A cohesive team isn’t always easy to create. A team that has never worked together may experience clashes in personalities, or miscommunications. Since freelancers have little loyalty to you, if they receive a better offer, they may choose to leave. In an attempt to prevent difficult relationships, UpWork gives you the ability to read freelancer reviews from other clients to try and evaluate their performance beforehand. As with all reviews, be sure to take them with a grain of salt. Software Development Provider: Firms have set teams who have likely completed many projects together. These teams tend to be more stable, and are accustomed to working with PMs trained in the company methods, leading to infrequent turnover. UpWork: UpWork offers you the ability to closely monitor your freelancers, but perhaps too closely. With their work diary, you can view screenshots, monitor keystrokes, and even take webcam photos (if the freelancer agrees). This allows you to determine if your freelancer is worthy of their hourly payment, and if they are accurately reporting hours. Additionally, this feature can help you dispute the work of individual team members. However, while these features can be effective at tracking productivity, they are often invasive to freelancers and create an environment where building trust is difficult. Software Development Provider: When working with a firm, you don’t have much control over and visibility into the day to day workings of individual employees. This can be seen as either an advantage or disadvantage. On one hand, you don’t have to worry if you’re assigning one particular person too much or too little. Also, you don’t have to take availability into account, and you can rely on the firm to handle consultant assignments and idle time. UpWork: Given the nature of UpWork, you will be able to scale your team up very quickly, especially when compared with the time it takes to hire a team of full-time consultants to sit on site. When sourcing your team, you also have full reign to choose who you hire and why. If you don’t like someone, you don’t need to add them to your team. Time zones are also not an issue, regardless of where you are, you can choose consultants from anywhere you like! Software Development Provider: With a firm, you don’t have the leeway in choosing individuals working on your project. However, you may experience flexibility in other ways. With some firms, you may have the ability to bring workers on site for hands-on assistance on projects. UpWork: UpWork offers secure payments and gives you the ability to closely monitor how your money is being distributed amongst your consultants. You can also easily end contracts and provide reviews of your freelancers. However, when it comes to the security of intellectual property, you may want to be careful. 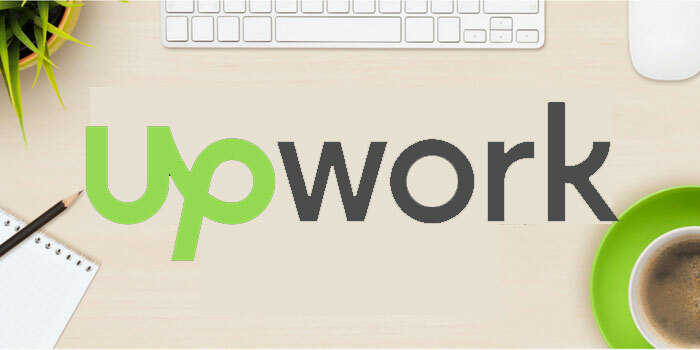 UpWork has an arbitration process in place, but it does not assist with intellectual property violations. With IP violations, you are only able to collect what has been paid to the freelancer, damages and any further payment are not covered. If you have particularly sensitive information, you will need to have each of your freelancers sign an NDA. Software Development Provider: Providers are able to offer payment protection with services like Payoneer’s escrow. Regarding intellectual property, you will notice a significantly higher level of protection when working with a provider. When working with a US-based provider, or one based in a country with a strong rule of law, parties can be held legally accountable for intellectual property. Additionally, providers are more likely to have higher security protections in place with VPNs and data encryption. Choosing between UpWork and a Software Development Provider is a decision that is dependent upon your business, its time constraints, your expectations, and flexibility. When looking to build a software solution, be sure to weigh all the pros and cons of both options. Remember: regardless of which option you chose, proper project management can be the difference between a project’s success or failure. Written by Cara Chatellier, a Marketing Consultant at Scopic Software. There is actually an alternative if you are evaluating these two options. The YouTeam combines both. It’s a freelancing platform that gives you an opportunity to hire developers who are full-time employed in software development companies. In this way you can hire a high profile engineer that will be devoted only to your project so you can be confident about the quality of the work done as well as save your money.